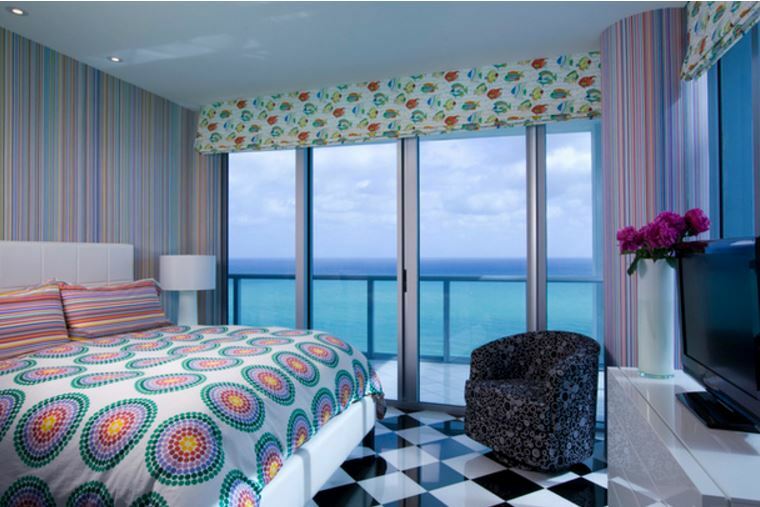 Designer Christopher Coleman has worked out an interior design of an apartment in Miami in polka-dotted style. Trying to describe a good view from the windows, people usually use the word breathtaking. During the first visit to the site of his future interior layout, an apartment on the twenty-seventh floor at CanyonRanch condominium in Miami, Chris Coleman felt deeply the truth of the clichés. The designer lives and works in New York, but for favorite clients he happily traveled to the house located in Miami. He went up in an open construction elevator, overlooking miles of beaches and a stormy sea (the wind was blowing with a speed of 70 kmph), and it literally gave him a thrill. 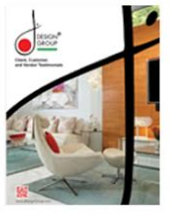 Customers who have bought a high-rise apartment – an elderly couple, Betty Saks and Bart Kavana work in the finance sector and are interested in design. They cooperated with Coleman not for the first time, their cooperation started with Chris’s fault. 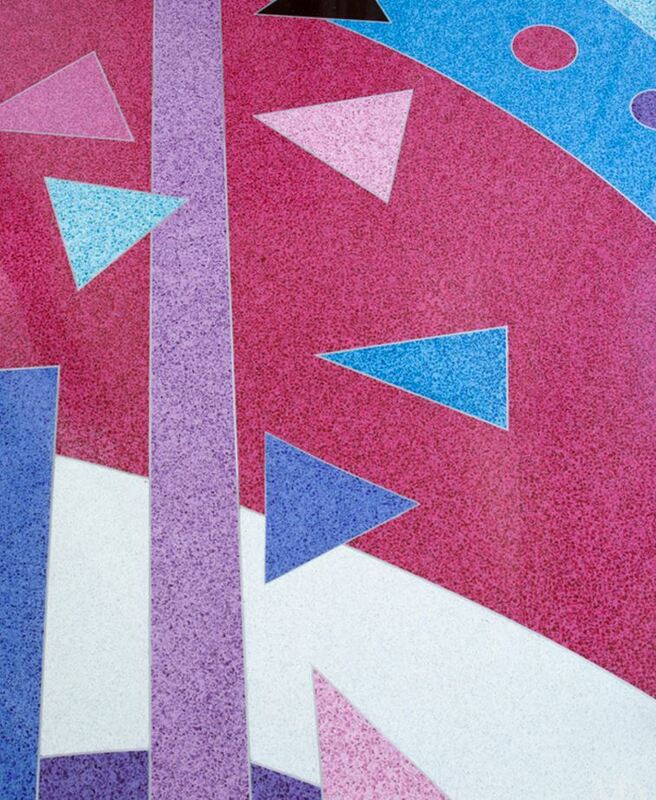 Betty asked him to design an apartment in Manhattan in the “tropical flowers” pattern. Well, Chris made everything too orangy and red. Coleman can be forgiven since these are his favorite colors; he also used them in his own apartment. 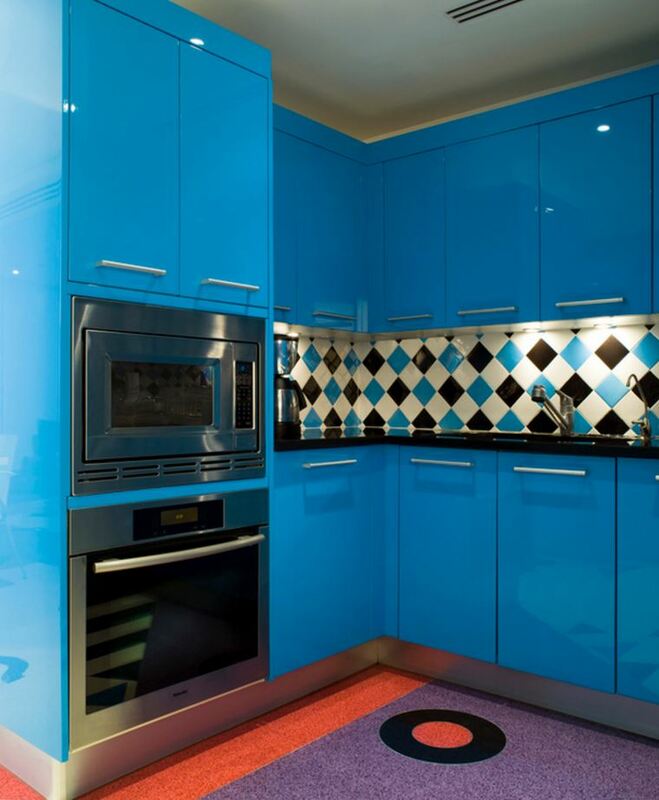 But it turned out that for Betty tropics are black, white, turquoise colors and several shades of blue and purple. Well, and maybe just a bit of yellow as the designer explained later. Judging by the new interior, Chris learned Betty’s tastes perfectly. Despite favorite palette she wanted her apartment to have a lot of rounded corners, sensuality, variety of colors and … reasons to smile. 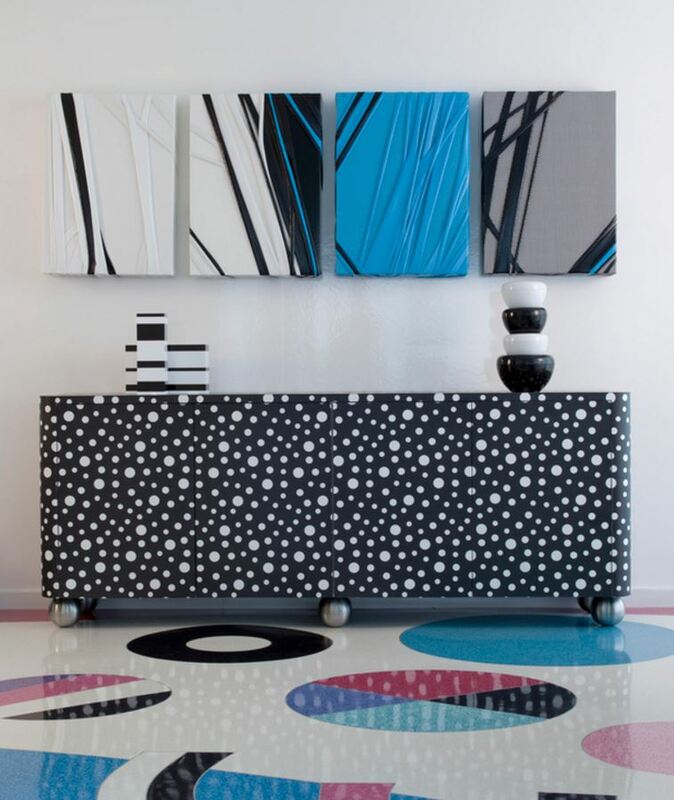 Thus, Coleman created a black-and-white-violet-blue interior, covered in “polka dots”. 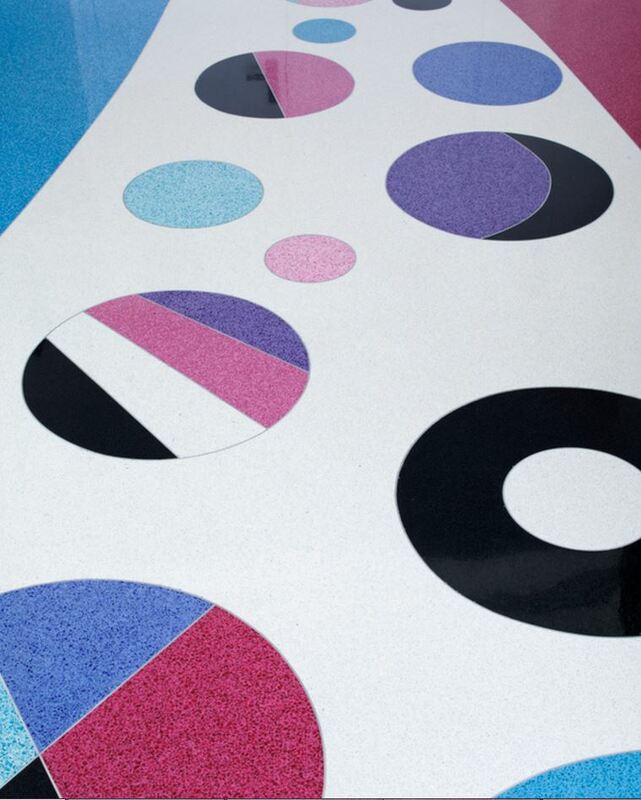 The most spectacular part of the decor – terrazzo floor: circles, triangles and other shapes made in the preset colors. The exact floor design has been created for two years – it had to be changed a little bit with every newly purchased piece of furniture for overall color scheme to be complete. The owners like this crazy-looking interior. Betty is particularly pleased that their young grandchildren can have a good spatial awareness in this convenient apartment. Betty’s children know for sure a path from triangles leads to her office, and from squares – to Bart. And even if something had not worked out, Betty would not be upset. Most people do not allow themselves to make mistakes, but Betty does it and this freedom is unspeakably pleasant. And we are satisfied with the results of the design experiments inspired by her.